The weekend is mere hours away. You can make it. And when you do, you’ll have numerous options for entertainment, including great music, theater, and art events. Here’s a roundup of highlights. Begin Again by Teresa McCue is on display at Nahcotta. Portsmouth’s monthly Art ’Round Town event is tonight (Oct. 7) from 5-8 p.m., when several downtown galleries introduce new exhibits with wine and snacks. Among the highlights: Nahcotta opens “Where I Live,” a solo show of paintings by Teresa McCue. The Todd Bonita Art Gallery offers a solo exhibition of oil paintings by Dennis Perrin. Coombs Art Gallery shows “Water Views,” a selection of oil paintings by Donna Harkins. Kennedy Gallery and Custom Framing presents “Red Black and a Little Green,” featuring ink pieces by Bruno Paciulli. The New Hampshire Art Association unveils the member show “The Art of the Landscape II,” as well as “Recent Work by Robert Thoresen” and “Portsmouth Contrasts in Black and White,” with digital photography by Thomas A. Wright. For more, click here. Trumpeter Dave Douglas performs at 3S Artspace on Friday. For several years, North Hampton-based label Parma Recordings has brought some of the world’s best classical, jazz, electronic, rock, and other musicians to the Seacoast for the annual Parma Music Festival. Now, Parma is bringing its festival to locations around the globe — and expanding to a year-round schedule. The 2016-2017 festival kicks off tonight (Oct. 7) with a performance by Grammy-nominated trumpet player Dave Douglas, known as the “King of Indy Jazz.” He’ll join Ourbigband at 3S Artspace in Portsmouth for a concert beginning at 8 p.m.; tickets are $15 to $20. For details, click here. Who is this Shakespeare fella? “Being Shakespeare” makes its American debut this weekend, showing at West End Studio Theatre in Portsmouth. Written by esteemed British Shakespeare scholar Jonathan Bate, the one-man show explores the Bard’s life, drawing from his plays and poems. 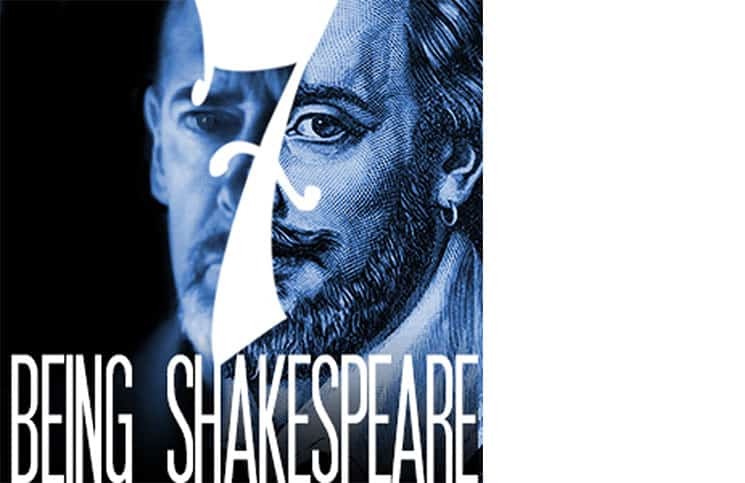 The local production, presented by Seven Stages Shakespeare Company (7SSC), is directed by Dan Beaulieu and stars Joel Colodner. It’s part of 7SSC’s Shakespeare 400 Season, marking the 400th anniversary of Shakespeare’s death. Show times are Fridays, Oct. 7 and 14, at 7:30 p.m., and Saturdays, Oct. 8 and 15, at 2 and 7:30 p.m. For more info, click here. The Rhythm Future Quartet. Left to right: Max O’Rourke, Jason Anick, Olli Soikkeli, and Greg Loughman. Guitarist Django Reinhardt pioneered gypsy jazz in France in the 1930s and ’40s. Today, Reinhardt’s music is celebrated with festivals around the country and world. New England’s top gypsy-jazz fest is Django by the Sea, headquartered at The Dance Hall in Kittery, Maine. The second annual festival kicked off last night and continues through the weekend, highlighted by performances from the John Jorgenson Quartet tonight and the Rhythm Future Quartet tomorrow night. There are several other acts, plus clinics and jam sessions at Buoy Gallery. For details, click here. To read an interview with violinist and festival organizer Jason Anick, click here. Water Street Bookstore in Exeter is hosting a conversation between two of the Seacoast’s most recognized foodie figures. Evan Mallett, owner and head chef at Black Trumpet Bistro in Portsmouth, recently authored a cookbook titled “Black Trumpet: A Chef’s Journey Through Eight New England Seasons” (Chelsea Green Publishing). He’ll sit down for a chat with local restaurant critic and author Rachel Forrest tonight (Oct. 7) at 7 p.m. They’ll talk about the Black Trumpet, which has built a reputation for serving great, locally-sourced meals, and the local food movement in general. For more information, click here.